RCC partnered with the SummitCare team to take aged care and retirement living to the next level with a facility that combines technology with a homely, high end hotel feel. Our collaborative partnered approach to innovative aged care projects is evident in our delivery of the $50m Baulkham Hills SummitCare RACF facility. We were honoured to attend the grand opening of the facility to celebrate with SummitCare and the various stakeholders who contributed to the successful delivery of this quality development. The new facility houses 236 beds for residents, a dementia centre, behavioural secure unit and specialised palliative care and includes state of the art GPON fibre optic technology, integrating the nurse call and ICT. Chada Interior Design, known for their high-end hospitality design, leveraged their experience to create a home for residences that resembles a luxury hotel, featuring bespoke custom rugs, joinery and room finishes and fixtures. RCC used the Early Contractor Involvement period to design a new structural system that allowed for the use of modular bathrooms in the 186 bathrooms and worked through site issues in an effort to hand $1.5m back to the client. Our project was delivered on time, in 18 months and has been a huge success for the wider team. 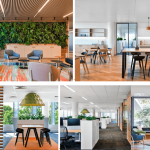 RCC is proud to have been part of the delivery of one of the largest and technologically advanced RACF’s in NSW, with a focus on providing a facility that creates a home for future residents in a sustainable environment today and into the future. As a family owned company with a strong emphasis on community, RCC understands the importance of designing and building aged care developments that contribute to social infrastructure and feel like home for residents.